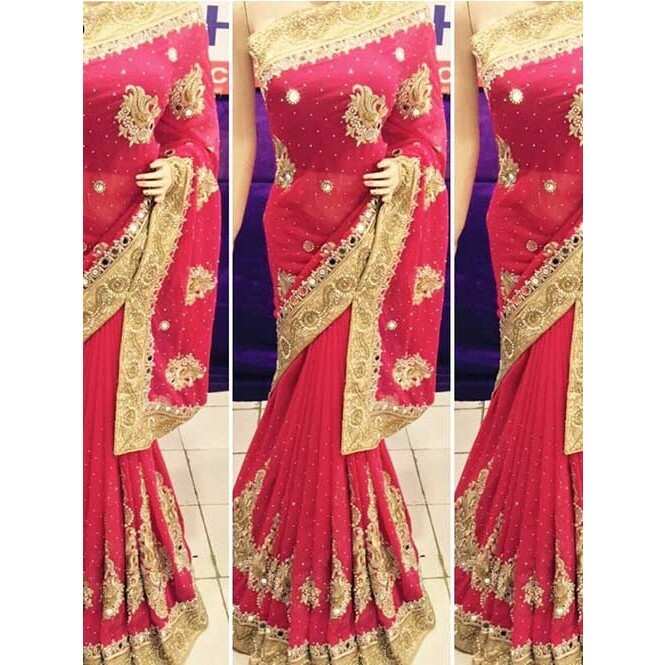 The fabulous pattern makes Red Colored Heavy Embroidered Georgette Saree With Beautiful Mirror-work and Stonework from Grab and Pack a classy number to be included in your wardrobe. This saree promises a mesmerizing appearance and will win your heart at the very first glance. Not to forget, the Georgette fabric contributes to the lightweight feel and comfort. This saree measures 6.30 m, including a 0.80 m blouse piece.